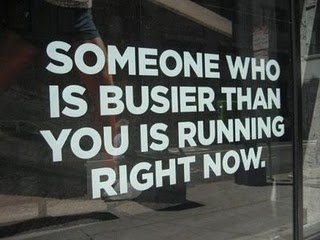 “Not enough time” is the number 1 reason people give for not running. According to the Centers for Disease Control and Prevention, adults need no less than 150 minutes of aerobic exercise each week. We’ve all heard this for years…in order to stay healthy, we must exercise. Running isn’t just about running. It’s also about helping to increase strength in our bones to reduce our chances of osteoporosis. It’s about reducing our bad cholesterol and increasing the good. It’s about heart health and lung health. It’s about weight management. It’s about overall health and happiness! I’m often amazed at people who just “can’t” find the time. I can’t help but think, they must not want to find the time. There are 1,440 minutes in a day so while it might not be “easy” to find 30-45 minutes to go for a run, I do believe it’s possible. You must schedule your runs and you must make them a priority. Obviously, joining a running group is one of the easiest ways to make this happen because the runs are scheduled for you but, even if you’re not in a group, schedule your runs as if you were. Write it on your calendar and stick with the plan. You must have a reason for running. Is it because of a race goal? Is it because of a health issue? Whatever it is, remember it and when you’re feeling like skipping your run, remind yourself of your reason for getting out there in the first place. Sit down right now and figure out how to get your runs in this week. Your body will thank you. i’ve spoken with several people who claimed to be too busy to exercise in the past year or two. These are also the same folks who were invariably the ones that always seemed to be able to tell you what the Kardashians are up to, who got voted off the island last week, why the judges on American Idol were dead wrong about contestant XYZ, and that Snooki and Jwoww are simply misunderstood. I have a coworker who said that he didn’t have the time. In a completely seperate conversation he also admitted that he watches about 40 hours of television per week. That is a FULL TIME JOB! 150 minutes of exercise weekly (as star mentioned above) equates to 21.43 minutes per day. If someone legitimately doesn’t WANT to go run for 20 minutes, then don’t. But don’t piss on my leg and tell me it’s raining by saying you don’t have time. 21.43 minutes is a thirty-minute sitcom without the commercials. When that Everybody Loves Raymond rerun comes on, turn off the tv, get off the couch and go move for a half hour. You won’t miss that much.